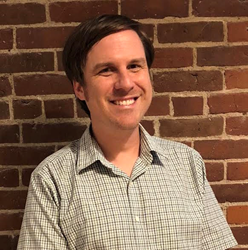 Armored Things welcomes Data Science, Information Visualization, and Software Engineering Education Specialist, Alex Baker. From 2011-2015, Baker lead the development of a highly customizable platform for visualization and data analysis as CTO and Co-Founder of VisiTrend. In 2015, VisiTrend was acquired by Carbon Black. Baker joins Armored Things from Carbon Black as Chief Data Scientist. Baker was “drawn to the Armored Things’ mission of protecting physical spaces” and is looking forward to applying his background in “large-scale cyber security to a new facet of the broader security problem.” Baker’s experience in security, data science, and visualization will create key insights on how to solve the vitally important problems that cyber and physical security face today.